Happy, happy Friday friends! Three nifty, fellow blog-and-craft-lovin' girls have organized 30 days of sewing, baking and holiday craft ideas for the month of September. The girls are Kelly at According to Kelly, Cindy at Skip to my Lou and Rachel at A Southern Fairytale. They are trying hard to inspire the rest of us to get thinking about Christmas gift giving! I can vouch for the fact that it's never too early to start gathering ideas for those handmade gifts. Make your list...and check it twice! 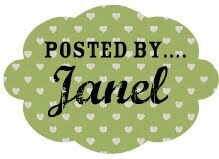 Jaime, our decorating super-star sister, is posting over at According to Kelly. Check out her holiday wreath fashioned out of tags. It has a lovely vintage look to it and is like a piece of art for you door. 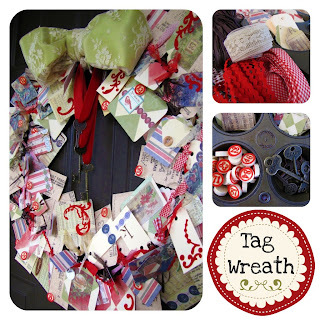 Jaime used paper and embellishments to create a beautiful, one-of-kind wreath. Mar, our super-motivated-sister-with-a-sewing machine is posting an awesome sewing project over at Skip to my Lou. 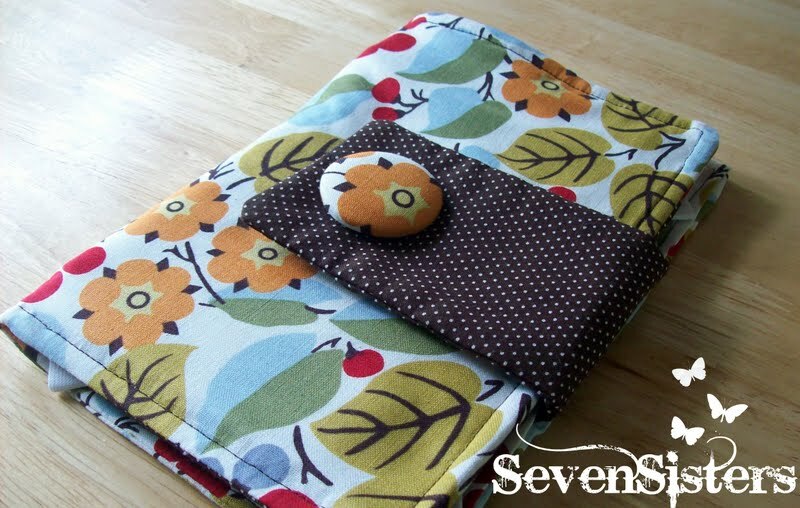 She shows you step by step how to make a beautiful fabric Kindle cover. It would be a stylish gift for anyone with an e-reader. This makes me want a Kindle just so I can carry it in this beautiful cover! For some holiday baking inspiration, hop over to A Southern Fairytale to read my (Janel) post. I share a recipe for Christmas cut-out cookies with an anise glaze and a cute idea to package one cookie with a coffee drink. It would make a sweet gift for a teacher or co-worker. This is our first time guest posting! Hugs to our faithful followers and if anyone is visiting Seven Sisters for the first time...welcome! Take a look around! We are seven friends who follow God and love to spend time together. We get together for "craft nights" at each others homes but really, it is an excuse to talk and eat! Occasionally a craft or two gets completed! Thanks for spending a moment with us..have a great weekend! 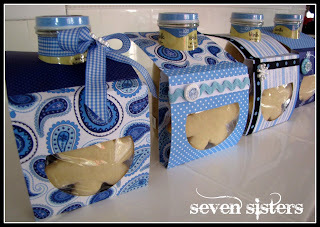 Thanks for sharing these three creative craft ideas. I love the last one with the coffee drink and cookie; what a great gift idea. Good for you, can't wait to see your projects!